 Sign Up Bonus Create your free 888poker account now and get $20 free to use at the poker tables and the casino games. No deposit needed! Welcome Bonus Get a 100% bonus on your first deposit up to $1,500 with 888poker’s Welcome Bonus! Multi Table Tournaments Tournaments with hundreds or thousands of players and incredible prizes for the winners! Sit & Go Tournaments In the Sit & Go Tournaments you will compete against a pre-defined number of players, and begin playing once all of its seats are filled. More than 10,000,000 downloads WORLDWIDE! 888poker NJ players are privy to a generous $20 no deposit needed registration bonus. This promotional offer is available to legal age players registering at 888 Poker. Simply complete the quick & easy registration, claim the offer in the email, and play poker games online. The $20 no deposit bonus can be used for an exciting range of poker games and casino games. Only New Jersey players qualify for this registration bonus. Provided you’re 21+ years old, this $20 Free Bonus – no deposit required – is yours to enjoy. You can enjoy top poker games like Blast Sit & Go, Heads Up, Texas Hold’em, Omaha Hi-Lo, Knockout Games, and Multi-Table Tournaments. 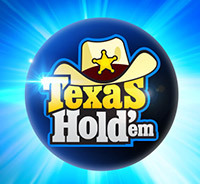 A host of daily free buy-in tournaments is available to players, for your added pleasure.  This welcome bonus package is all yours – no strings attached. We welcome new players at 888 Poker NJ and wish to express our gratitude with this generous promotional offer. Simply register, claim your bonus, and play your favorite games at 888poker NJ and 888casino NJ. It’s that easy! Are We Bluffing about the Free Registration Bonus? 888poker NJ is the real deal folks! We don’t kid around when it comes to free registration bonuses. You get to enjoy $20 free – no deposit needed, no questions asked. Simply register, claim, and play your choice of poker and casino games online. You don’t need to make a deposit to satisfy the terms and conditions of this promotional package. We’re going all in with $10 in FreePlay bonuses at 888casino NJ, $4 in bonus cash for 888poker NJ, and 6 x Tourney Tickets to 888poker NJ. At 888casino NJ, many of the online slots games feature Bonus rounds, Gamble rounds, Wilds, Scatters, and other interactive elements. You can win Free Spins on your Free Spins – a great way to boost your winnings. As an online poker player, you may want to take some time out from the intensity of the game – that’s why we’re offering you real money $10 in FreePlay for use at 888casino NJ. Take a breather with some terrific video slots games, progressive slots, and classic slots. It’s on the house! * All bonus offers must be used within 7 days of registration at 888poker NJ.  The playthrough requirements state that players must wager the bonus amount x 30, within 60 days of being credited to your account. This promotional package is only valid in the state of New Jersey. The Promotion shall begin on July 10, 2017 at 10 am and shall conclude on December 31, 2019 10:00 am (or an extended date as shall be determined in our sole discretion). Notwithstanding the foregoing, we may decide in our sole discretion to conclude the Promotion offer immediately at any time.  Players who register via 888poker are only eligible for one Registration Bonus and are not eligible for any other registration bonus offered by 888poker or us.888casino.com (“888casino”). $10 free play for selected casino games on 888casino, which shall be credited to the player’s account. For more information on free play, please see here. The $4 worth of money bonus, the Tournament Tickets and the $10 free play granted under this Promotion must be used within 7 days from being credited to a players account. 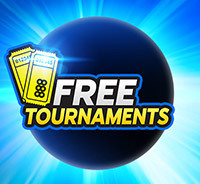 Any unused free play, cash and Tournament Tickets granted under this Promotion shall expire 7 days after being credited to a player’s account and shall be removed from the players account following the expiration of such time period. Wagering requirements apply to your use of the $4 worth of money bonus, the Tournament Tickets and the $10 free play granted under the Promotion. For more information regarding the wagering requirements please see here. Following a player confirming their email address, any unused Tournament Tickets shall expire after 7 days (the Expiry Date). However, players may withdraw any winnings generated by the Tournament Tickets used before the Expiry Date immediately. Real money poker is available only if you are in NJ, over 21, and not on the NJ self-exclusion list. If you or someone you know has a gambling problem and want help call 1-800-GAMBLER. This website is operated by Caesars Interactive Entertainment New Jersey LLC as the Affiliate of Boardwalk Regency Corporation with offices at 2100 Pacific Avenue Atlantic City, NJ 08401. Licensed and regulated by the New Jersey Division of Gaming Enforcement under Permit Number NJIGP 14-007. Persons under 21 or located outside of New Jersey are not permitted to engage in real money internet gambling. For more details please read our terms and conditions. Information in this website may be subject to change without notice. We encourage responsible gambling. If you, or someone you know, have a gambling problem and wants help, please visit: www.800gambler.org or call 1-800-GAMBLER.